To introduce this post, I’m venturing away from the “bird-brains” for a second and sharing information from another successful writer. 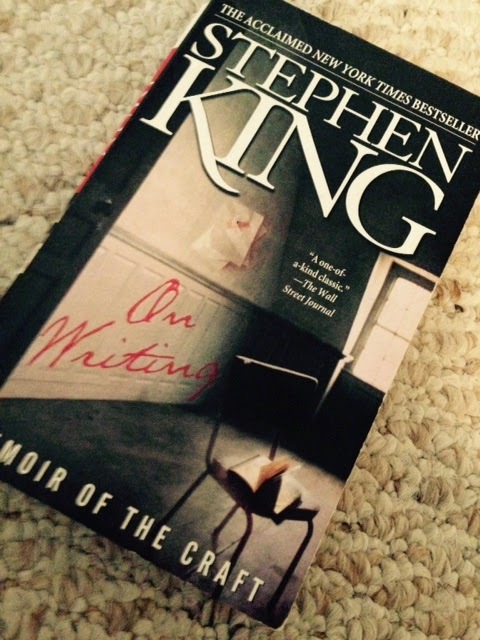 In his memoir On Writing, Stephen King says that every writer must equip and carry with him at all times a “toolbox.” In this metaphorical toolbox are the skills he should have on hand in order to approach his craft with confidence. The tool King insists goes on the very top shelf of the toolbox? Vocabulary. I know Gooney Bird Greene would concur. From the day she enters Mrs. Pigeon’s second-grade classroom, Gooney Bird’s speech reveals she has a passion for words. And her resourcefulness in acquiring a dictionary for each of her classmates helps her spread that passion. By the time the second graders present their Thanksgiving program, words such as cajole, indefatigable, incognito, admonition, and my personal favorite ennui are as natural to them as gobble, gobble is to a turkey. I’m willing to bet that every person who has ever set pen to paper—with the possible exception of author Charles Portis—has struggled at one time or another to come up with the exact right word. That is why, if you are a writer, vocabulary building should become second nature to you. I’m also willing to bet, however, that it already is. 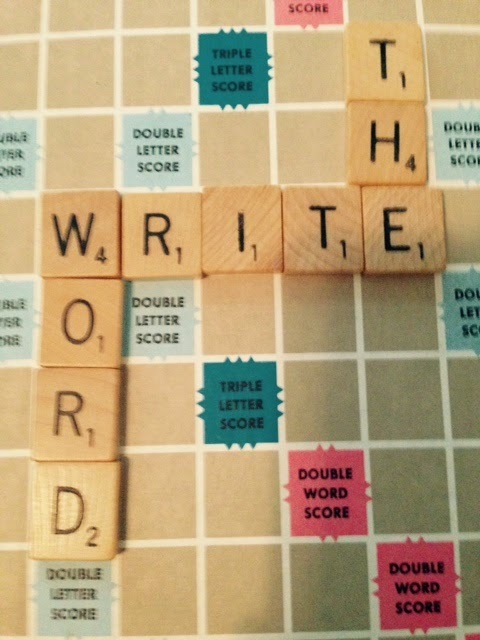 How can you be a writer and not love words? Understand I’m not talking pretentious, stilted verbiage here. Everything I’ve read about contemporary writing cautions against using an obscure, polysyllabic word when a familiar, shorter form will work just as well. Why say somnambulating when sleepwalking gets the same point across and doesn’t send your reader scrambling mid-sentence to the dictionary? Enriched vocabulary is about knowing many words so that you’ll have the precise word at your disposal when you need it. So that once you’ve written trinket twice in the same paragraph, you’ll know that gimcrack can serve as a good alternative. So that if you want a character to sound pompous, you can have him say imbroglio instead of spat. An enriched vocabulary enables us to clearly express sights, feelings, or experiences that otherwise might be indescribable. So what is the best way to build vocabulary? In Gooney Bird’s classroom, every time the second-graders hear a new word, they look it up in their dictionaries. Mrs. Pigeon tells them that once they use a word three times, they own it. For the eager second-graders, that method works well. Surprisingly, King instructs us to not make any “conscious effort to improve [our vocabulary].” He says start with the vocabulary you have and then naturally acquire words by reading . My favorite method is to read and “pay attention.” One of the reasons I enjoy my kindle is that definitions to unfamiliar words are just a screen tap away. Upon finding a word I especially like, I highlight it. That way I can revisit it later and "own" it. 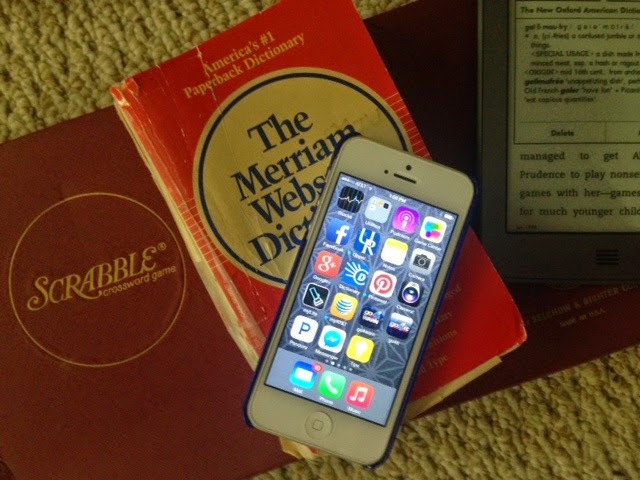 When not using my kindle, I have my phone with the dictionary app nearby. Whether you work crossword puzzles, make flashcards, play word games, or simply read, the best way to increase your vocabulary is whatever method works for you. It is difficult to describe the pleasure I derive from vocabulary building. But give me time. I’ll find the right words for it! Good advice. I am familiar with that feeling that the right word is just out of reach ... not just because I can't remember it but because the available vocabulary doesn't seem to conjure up the right image. Oh yes, that feeling is very familiar to me, too. I think that's why I'm always impressed when I read a passage that has so effectively captured the writer's experience. I always ask myself, why can't I do that!! Nowadays, you may find a huge amount of different kinds of an essay writers service which provide not bad quality of the texts. But if you spend just a few hours searching, I'm sure that you can certainly find for yourself the perfect fit for your search queries. For example, I've been using the same service for almost a year now. Thank you, Wilma. Good information!